We feature live music entertainment from local favorite musicians several nights a week. Visit the "Events" page on our website for an updated schedule. 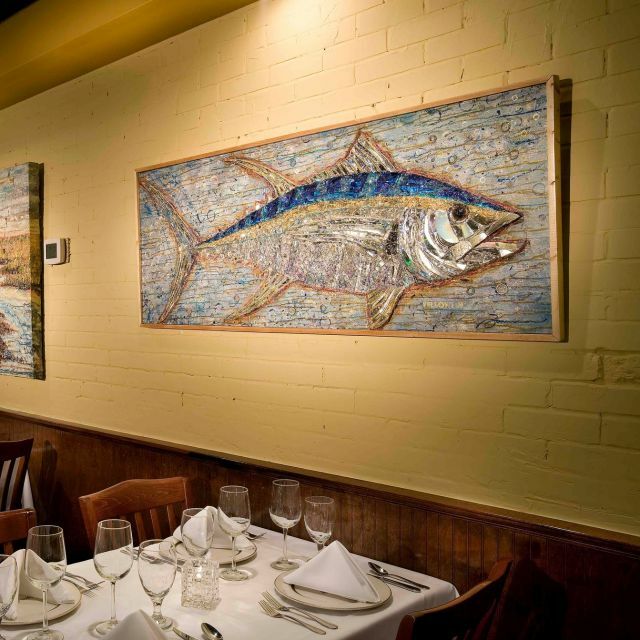 Reopened in 2009 by chef and owner Curry Martin, Aspen Grille is Myrtle Beach's freshest new dining option. Dishes are based on traditional Southern cuisine, with Chef Martin's own personal twist. Our menu changes seasonally and offers simple, but flavorful dishes with ingredients sourced from the best local suppliers. 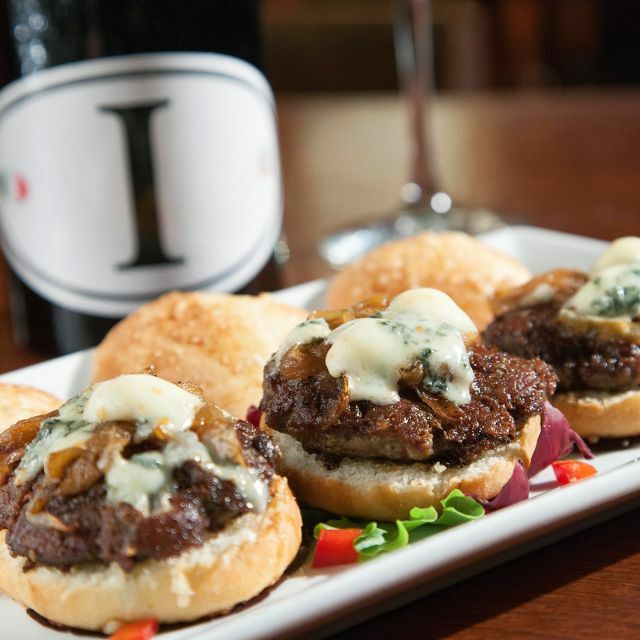 Pair any dish with a wine from our hand-selected list to create an exceptional meal. Our comfortable dining room features warm woods and original art, making it a relaxing respite from the hustle bustle of the world outside. Our attentive and experienced staff provides the perfect ambiance for a casual dinner, special event or business occasion. Several nights a week, we feature live entertainment from local favorite musicians. Aspen Grille will be open for Easter dinner beginning at 4:30pm. Beautiful setting, wonderful food, excellent wine. I am usually a fan of Aspen Grille but was disappointed in my visit this time. Four of us came for dinner. Two of us ordered the duck entree. When it came it was so tough hat both of us could not cut or chew it. Our guest told the waiter, quietly about the situation. Our complaint was basically ignored. While we said nothing else, paid and left; I am not likely to hurry back. It was costly and disappointing! Wonderful ambiance, Thurs night jazz in the background was perfect, food and service outstanding, Richard was excellent and knowledgeable. Prices are a bit high for everyday dining, perfect for a special occasion. Scallops were the best ever. We’ll be back. Never disappointed when we come here. Aspen is our favorite restaurant in Myrtle Beach. Food is always excellent as is service. Had oysters appetizer, grouper on mushroom riosoto, and their trademark flounder on okra, tomatoes and corn. 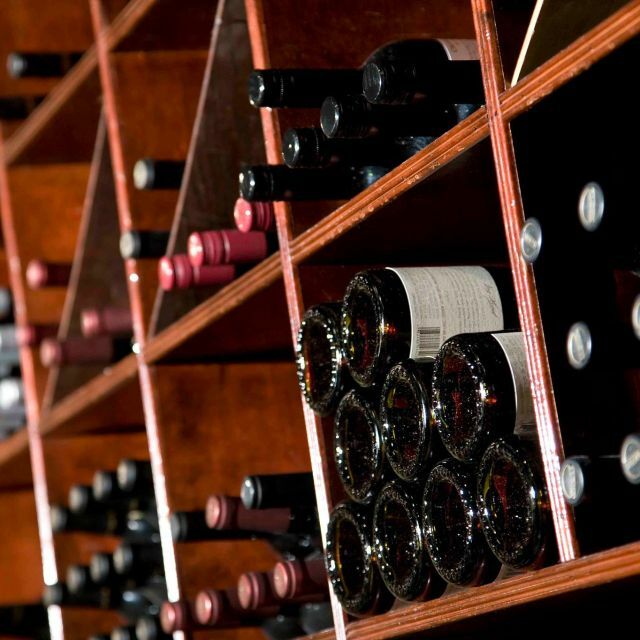 Wine list is quality - enjoyed bottle of Trimbach. Also had flourless chocolate and carrot cakes. Great dinner! What a great experience. Me and my husband went to celebrate our anniversary and when we sat down at our table there was a hand written card congratulating us on our anniversary. The service was exceptional and the food was tantalizing. We will definitely be back when we are in the area again! 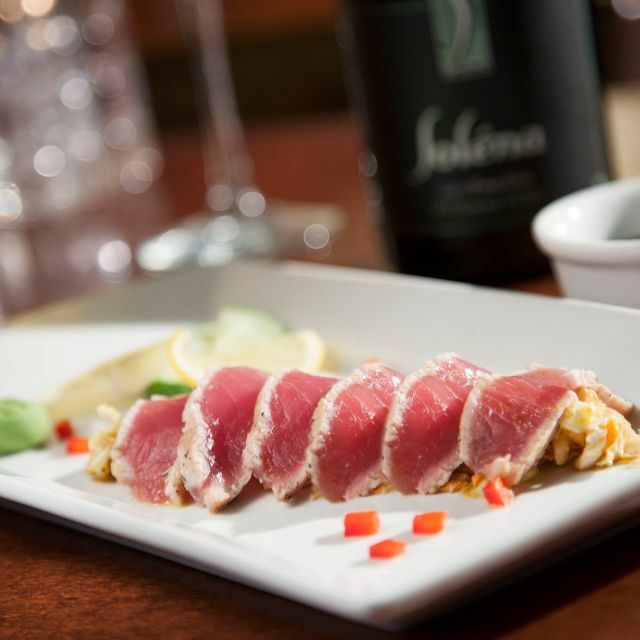 One of our favorites, food is always amazing. This was the first time we felt a little slighted by the service, our waitress did not explain daily specials and was not as warm and personal as we have always experienced. We overheard another waiter going into great detail about the specials and made recommendations etc. Food delivery was prompt and the waitress did nothing wrong but we have come to expect a certain type of service especially for a meal at a premium cost. I would recommend Aspen Grille to anyone visiting the Myrtle Beach area that is looking for a quiet, relaxing seafood/steak meal with live music. Service was excellent. Best restaurant in Myrtle Beach! We go at least once every time we come! Advertised happy hour special was only good in the bar. We sat in the bar at a booth but didn’t receive the happy hour special. They then indicated a requirement of a high top table or bar stool :-/ Food was good but not really a stand out. A bit over priced. The bonus is that it is locally owned. Would have liked a bit more formal service and atmosphere. Also Expected a more professional staff. Oysters appetizer was terrific however My ny strip steak was tough but my wife enjoyed her fillet. Out of 6 people in our party only 1 had his meal come out hot. This place was talked up and really mist the mark. Service and food were great. Value was outstanding! Made a birthday celebration personal. The handwritten card was a nice touch. Aspen Grille was recommended to us by a friend on our visit to Myrtle Beach...Everything was great - service was fantastic and the food was wonderful....Will definitely visit when we return to MB.....Thanks for a great evening!! Another excellent meal at the Aspen Grill. The food and service were both great. 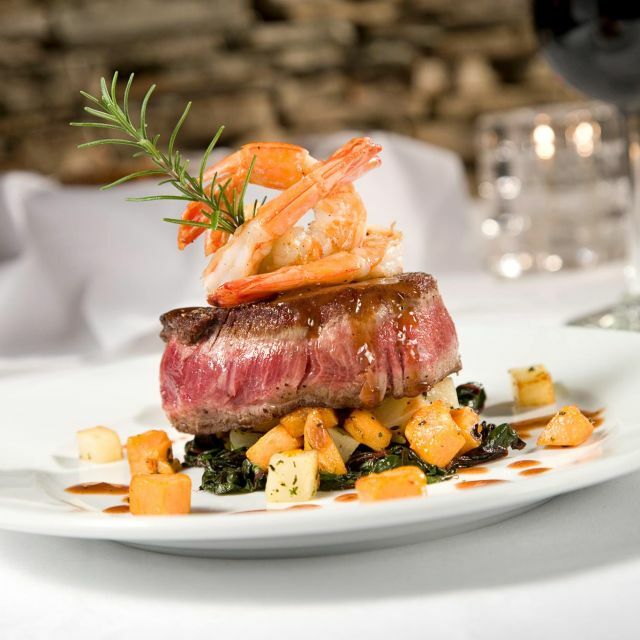 This is one of our favorite “fine dining” restaurants in Myrtle Beach, and it is clearly one of the Grand Strand’s best! Looking at the website, was totally different than what I saw when I pulled up to Aspen. I'm not a local, so I had no idea. On the website it looked as though it was this elegant, elite dining atmosphere. It was nice and quaint but it was totally different than the presentation on the website. I came in for a birthday outing, the service was nice and staff were friendly. My filet and fiancé's lamb chops were not seasoned, just bland, I asked for my filet to be cooked with a pink warm center(medium well) it came out well done! Wine my fiancé had was just blah, the nice wines he wanted a glass of was of course buy by bottle only. It was an okay birthday dinner for him, food was nothing to really rant and rave about, I'm sorry; I so wanted to go to Morton's steakhouse, but its a first for everything, but I think this visit was our only, I dont think Aspen grille is somewhere we'll come back to when we visit myrtle beach. Fresh seafood prepared nicely. Enjoyed everything & our server, David, was excellent! The food was simply outstanding. Our party of 4 all had something different and each plate was prepared tp perfection. The service was also great and well timed. Probably our best dinning experience in Myrtle Beach. The filet was extraordinary! Two others in or party had fish, and it too was wonderful! The music was soft, the food and service were impeccable! We had dinner here on Saturday night —great experience. Arrived early and had a drink at the bar. Both bartenders were professional and offered several suggestions for dinner including the fresh catch which was grouper served over a mushroom risotto. Also suggested the fried spinach (he actually brought out a sample after we showed interest). Af dinner, 2 of us ordered the grouper, one the filet while I had the short ribs. We shared a vegetable plate of fried spinach and Brussels sprouts. All delicious. The service was spot on as well. We finished the meal with the blueberry bread pudding topped with salted caramel ice cream—wow! Will be back and highly recommend! We were celebrating our anniversary and the food was average. They gave us a hand written note from the owners thanking us for celebrating our anniversary there. Personally would have rather had a dessert than a hand written note! But that’s just me! Wonderful meal. Good service. Made for a great celebration, a fun evening. Our second visit there and we were not disappointed. Really really wonderful! Had the flounder and shrimp on the menu and it was done to perfection with a delicious sauce! The beet and goat cheese salad was the best we have had, with just the right dressing. The live music is a nice touch, and not too loud. 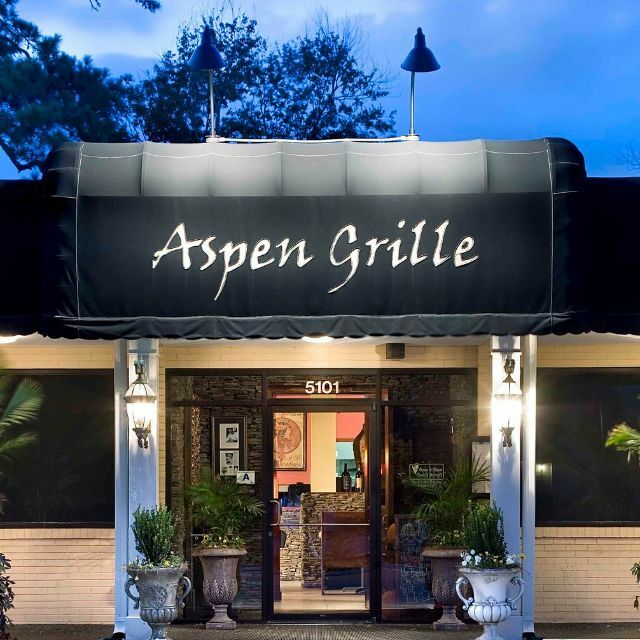 I have been to many of the 'upscale' restaurants in Myrtle Beach, and Aspen Grill is my favorite by far. I took my boyfriend there for his birthday--he loved it as well. I only wish my birthday has not already passed this year as I would ask to go to Aspen Grille to celebrate! I can't wait to go back! Always a great experience we stop here everytime we are in town. One of the best in Myrtle! I had a delicious app- fried lobster bites and the scallop diner which as always was great. Our other two diners had the grouper special and the shrimp and grits and shared an crab cake app. Every thing was excellent as was the service. We shared a lovely piece of blueberry bread pudding for desert. Great place that never lets you done. 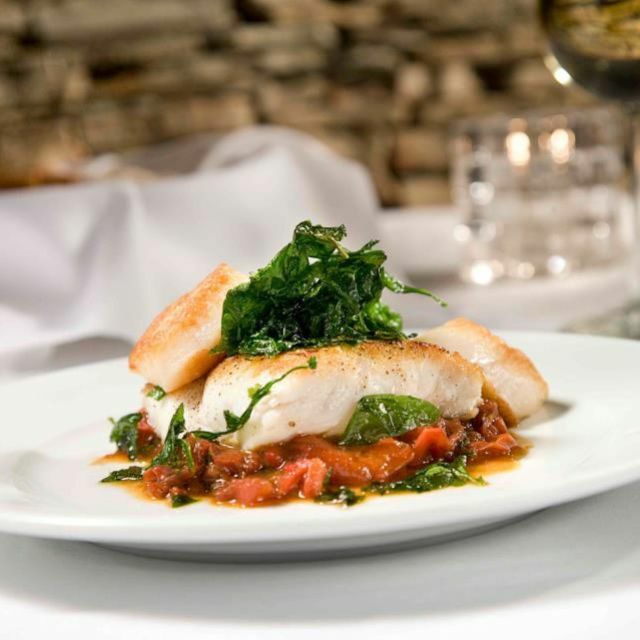 I was visiting from Washington state and this was the only restaurant that I found was serving grouper, a favorite fish I cannot get back home...and it was cooked to perfection. I'll certainly make a return visit next time I'm in Myrtle Beach!! Consistently good. Creative menu, good quality food.